I love learning new yarn techniques! 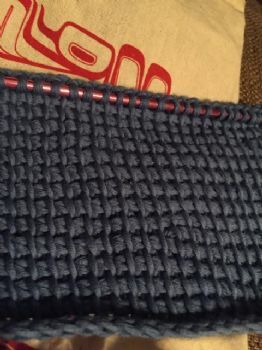 This is tunisian crochet - such nice tight uniform stitches! That's beautiful! It makes me want to learn to crochet.